Situated on the private side of coral gables, villa valencia will feature 39 luxury condominium residences that offer a rich city lifestyle with the privacy of boutique living. Rising 13 stories, the residences at villa valencia, each with at least one corner exposure, feature three to six bedrooms with city, water and golf course views. The building is crowned with two lower penthouses and one grand penthouse in the sky made for indoor/outdoor living. Experience the most luxurious lifestyle as villa valencia brings together world-class services, cutting edge technology, sophisticated design and a passion for nature in one limited collection of stately residences. Professionally decorated & upgraded bayfront villa with private pool that feels like a house! Lobby entry level, no elevator needed. Many luxury improvements, modern floor plan with unique views. Porcelain plus oak floors throughout. Open mia cuccina kitchen with miele appliances, fireplace, marble stone master bath with jacuzzi tub, unique covered terrace 1,758 sf with summer kitchen and infinity edge pool with hot tub. Four covered parking spaces and plenty of storage. Private boat slip (available separately, size 26 x 70). Boutique condominium with only 18 residences. Doorman, 24 hrs concierge, gym, resort pool with cabanas and sun deck. One common boat slip, full service generator, 24 hours security. Easy to show & real seller. Magnificent architecture - spectacular views - extraordinary lifestyle introducing the magnificent waterfront homes of one park grove - estate-quality condominiums and penthouses with the perfection location, magnificent architecture, spectacular views and a richly-layered lifestyle. Park grove represents what is possible when the sophistication and artistry or pritzker prize-winning architect rem koolhaas/oma is given a 5-acre waterfront canvas in coconut grove - the most naturally beautiful part of miami and home to its wealthiest residents. Park grove's koolhaas-designed amenities surpass what any project in miami has ever offered in terms of the opportunity to be able to live a curated, highly engaged life. Introducing the magnificent waterfront homes of one park grove estate-quality condominiums and penthouses with the perfect location, magnificent architecture, spectacular views and a richly-layered lifestyle. Park grove represents what is possible when the sophistication and artistry of pritzker prize-winning architect rem koolhaas/oma is given a 5-acre waterfront canvas in coconut grove the most naturally beautiful part of miami and home to its wealthiest residents. Park groves koolhaas-designed amenities surpass what any project in miami has ever offered in terms of the opportunity to be able to live a curated, highly engaged life. Magnificent architecture - spectacular views - extraordinary lifestyle introducing the magnificent waterfront homes of one park grove estate-quality condominiums and penthouses with the perfect location, magnificent architecture, spectacular views and a richly-layered lifestyle. Park grove represents what is possible when the sophistication and artistry of pritzker prize-winning architect rem koolhaas/oma is given a 5-acre waterfront canvas in coconut grove the most naturally beautiful part of miami and home to its wealthiest residents. Park groves koolhaas-designed amenities surpass what any project in miami has ever offered in terms of the opportunity to be able to live a curated, highly engaged life. 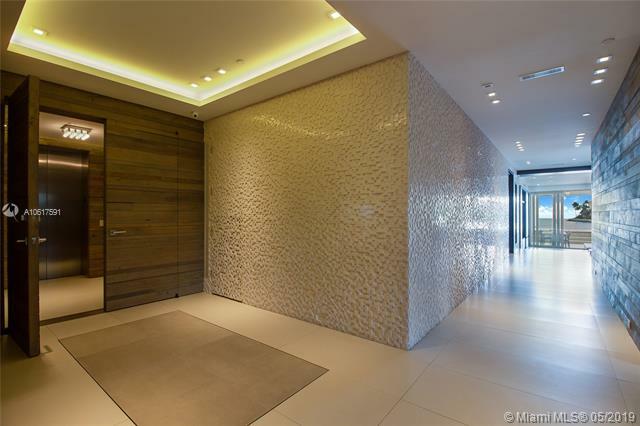 An amazing lifestyle awaits within this sought-after park grove condominium. The expansive, luxuriously appointed, neutral-toned residence features three bedrooms, three bathrooms, a fourth bedroom option and a powder room. Covering 2,884 sqft and a nearly 400-sqft balcony with direct bay and city views, the interior space boasts rectified porcelain floors throughout, 12-foot ceilings, kitchen and baths by william sofield including italian cabinetry and exquisite stone countertops. 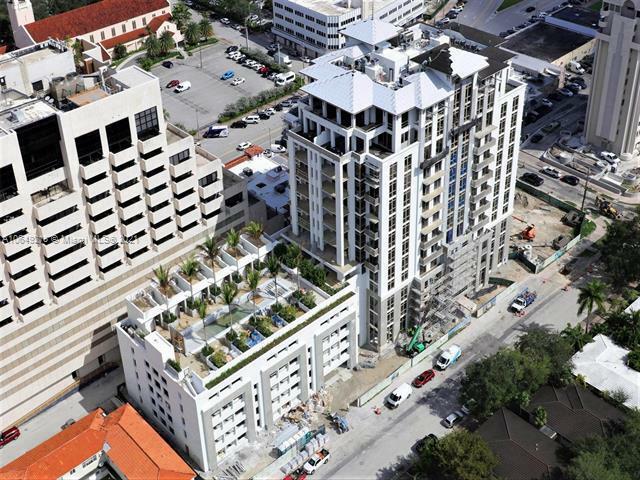 A team work by omarem koolhaas and world class designers and developers, park grove beautifully combines the rich culture and lifestyle of coconut grove with a modern/innovative design flair. The 5-star amenities include resort-style pools, cabanas, wine cellar, fitness rooms, spa, concierge, valet and more. 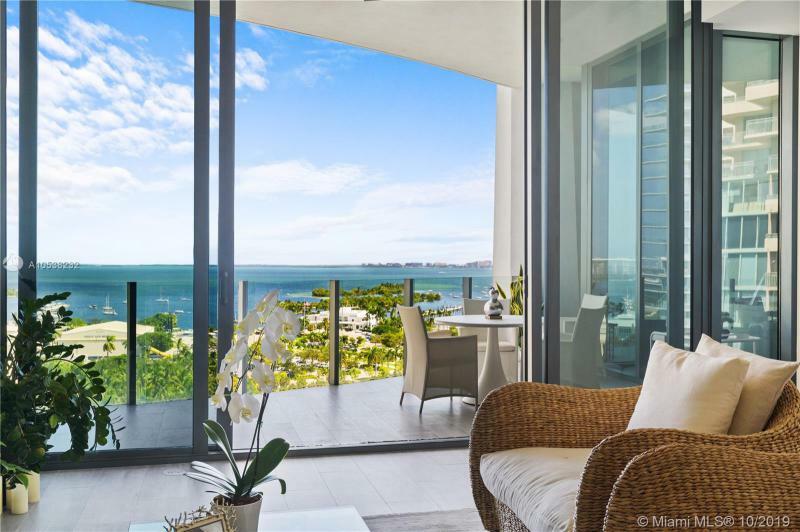 Enjoy luxury living at park grove with direct water views of biscayne bay. This sophisticated unit comes with the finest finishes: the kitchen offers wolf wall mounted oven, subzero refrigerator and freezer, gorgeous marble island, 5 gas range cooktop, wine cooler and italkraft custom cabinets. The glass walled master bedroom faces the bay and master bathroom features natural stone floors, marble bathtub and double head shower. The spacious bedrooms are filled with abundant light and porcelain floors throughout. The condominium provides endless amenities such as: state-of-the-art fitness center with private training rooms, luxurious pool with private cabanas, spa, concierge services, large conference room, sculpture garden and library. Elegant unit with breathtaking views at luxurious condominium the gables club. Upon entering, the prominent walls of glass invite natural light into the spacious living areas and lead to large comfortable balconies throughout. The chefs eat-in kitchen with granite countertops, thermador microwave, cooktop, oven and subzero refrigerator also features a breakfast area. A sophisticated master bedroom comes with sitting area, beautifully appointed master bathroom and spacious closets. The condominium also features resort style amenities, 24 hour concierge, valet, clubhouse, swimming pool and tennis court. 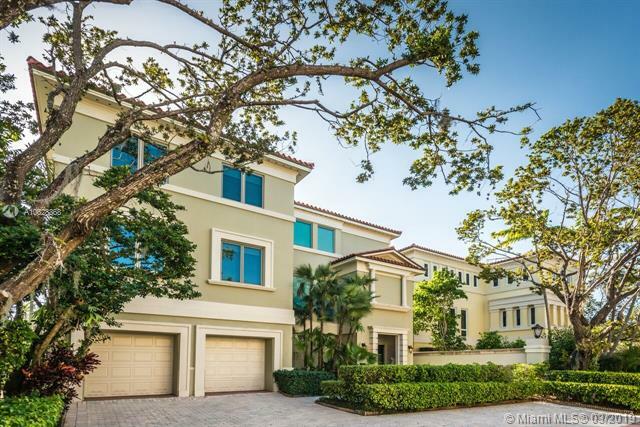 One of only 25 luxury villas in the luxurious and exclusive gated enclave bayshore villas. Enter through the guard-gate onto one of the most beautiful, lushly landscaped streets in coconut grove. This extraordinary villa has distinct architectural details, superb finishes, and an atmosphere of european elegance and quality. Built for entertaining, the living room is massive with high vaulted ceilings and the formal dining room could seat twenty people comfortably. Other features include a gourmet eat-in kitchen with butlers pantry, master suite with his and hers bathrooms, private elevator, private patio-garden, and a two-car garage. Never lift a finger, this single-family home comes with the amenities and white glove service of a luxury condominium. Beautiful pool and tennis courts.